First stop on National Park Trip Season 2!! 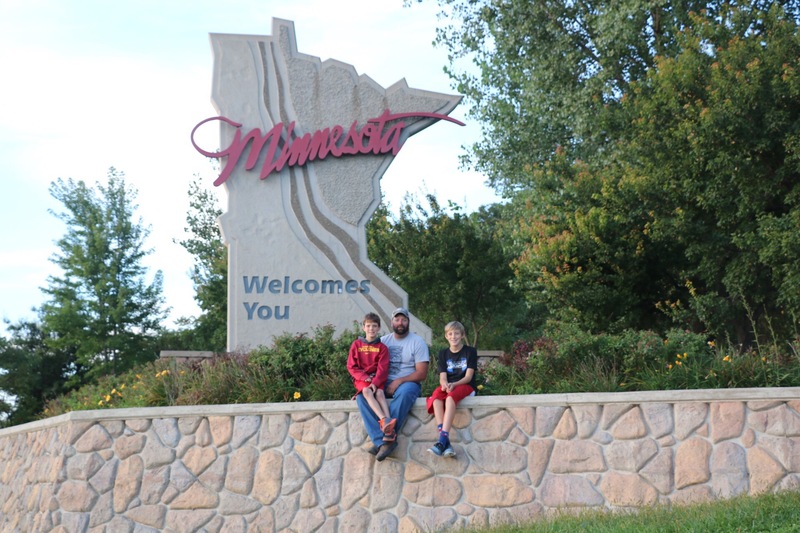 The Minnesota State line sign!! 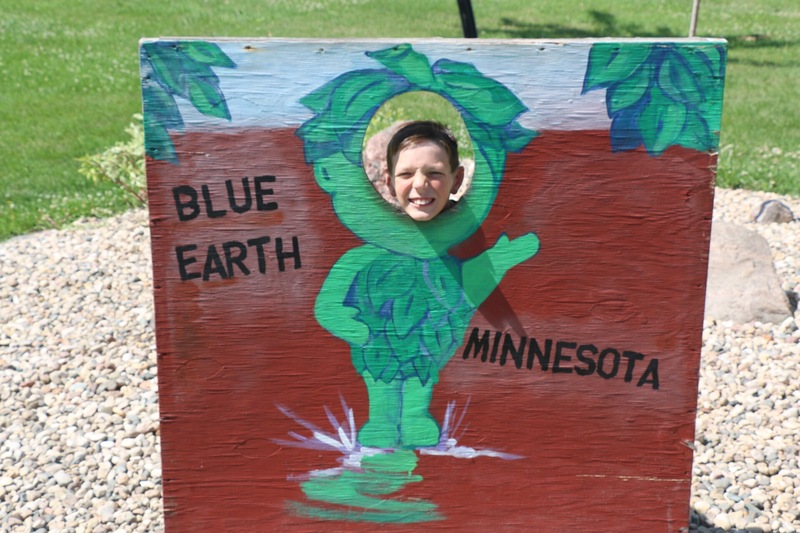 This is one of my favorite state line signs, this one found on I-35 North heading into Minnesota from Iowa. There is a tiny spot to pull off to park, but make it quick, tons of traffic and they are very friendly! Just about everyone was honking and waving!! Lol!! 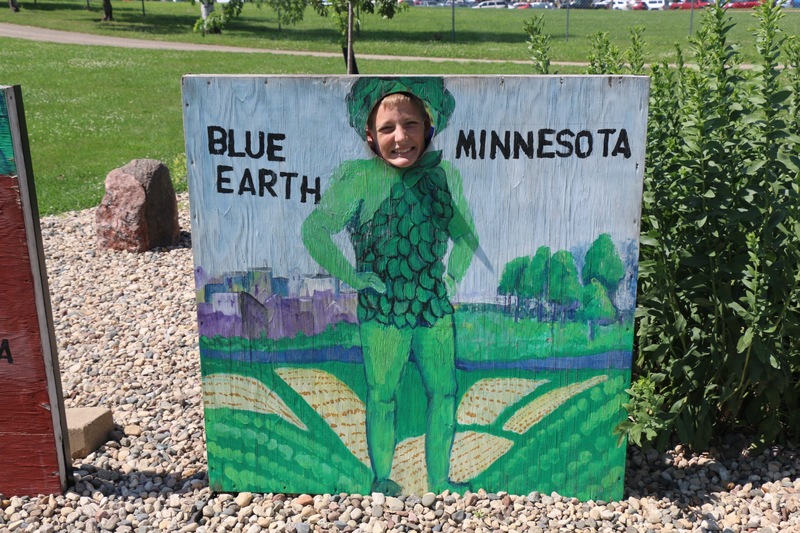 Next stop was for a picnic lunch, we decided it should be in Blue Earth, Minnesota heading west on I-90. 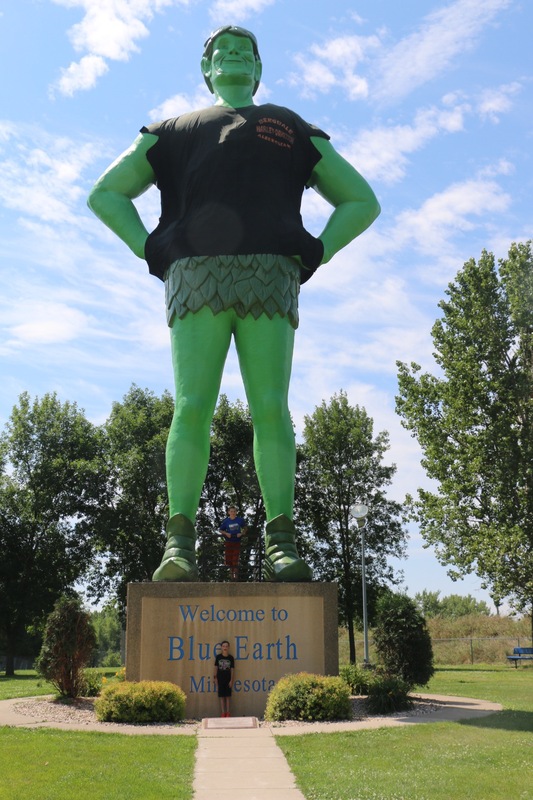 Home of the Jolly Green Giant! Kids had fun with this but looked at every adult like they were an alien as we all sang “Ho Ho Ho, Green Giant” as we walked around. 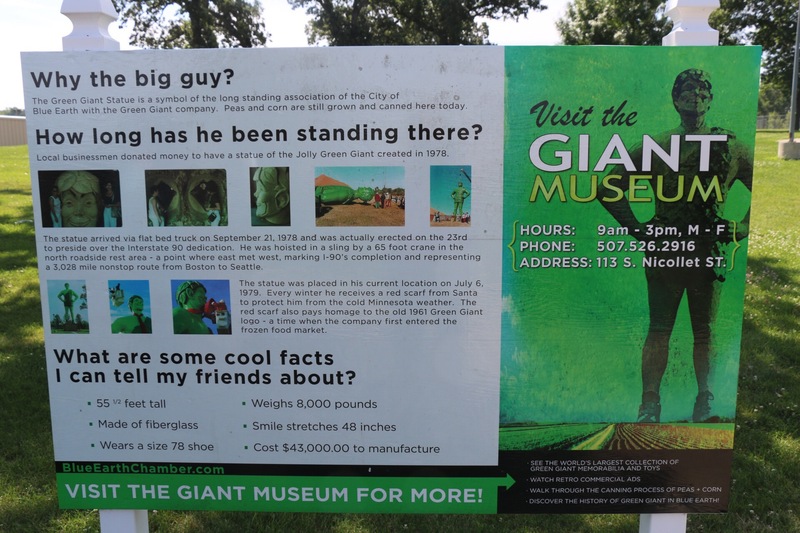 Plenty of picnic tables, statue of the green giant, and a cute little gift shop/visitor center. Picture of the kids with Mr. Jolly Green! The Stats about the giant! Kids loved his shoe size! Short little stop and on the road again. Next stop Pipestone National Monument, check out a separate post on that stop! !